There are 3 columns, be sure not to miss anything. 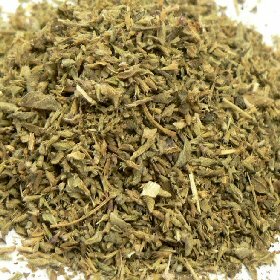 The herbal information on this web site is intended for educational purposes only. These statements have not been evaluated by the FDA. The information on this web site is not intended to prevent, diagnose, treat, or cure any disease or ailment. Please see a medical professional about any health concerns you have. Each packet comes in a 3x4 food-grade foil re-closeable packet. It is not sold by weight or volume. Also known as Common Marshmallow. 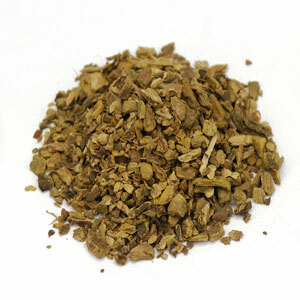 Traditionally marshmallow has been used to soothe sore throats and inflamations of the mucous membranes. 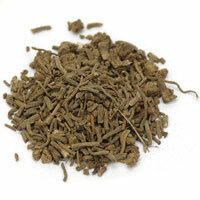 Our marshmallow root is cut in a size suitable for tea; may not be square cut and may be fibrous or "fuzzy" in appearance. 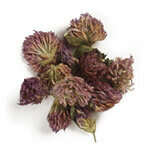 Also called Mary Thistle or Blessed Thistle. 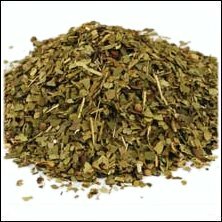 Milk thistle is reputed to benefit the liver due to its active constituent components, silymarin, which are believed to protect and improve liver function. 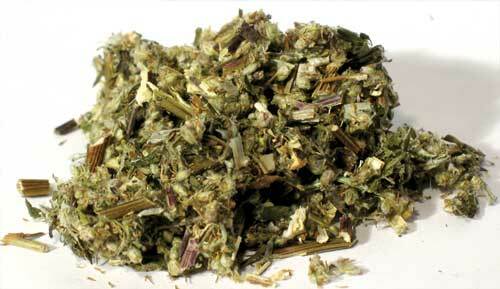 Mugwort naturally contains the toxin thujone, which is toxic in large amounts or under prolonged intake. 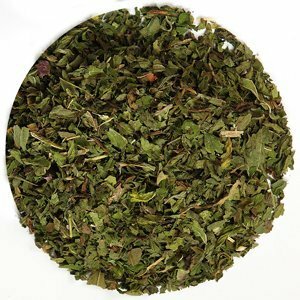 Traditionally mugwort has been used for a wide variety of purposes, from purportedly stimulating digestion to increasing blood circulation. Traditionally used in conjunction with Frankincense and burned on a charcoal disc. 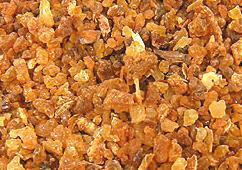 Myrrh has a sharp, pleasant, somewhat bitter, vanillic fragrance. Not recommended that customers attempt to blend; will become gummy and sticky in blenders and coffee grinders. 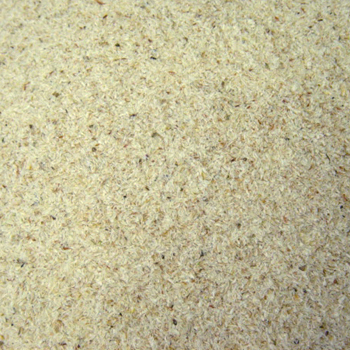 The above-ground parts of the oat plant left after harvesting the grain. 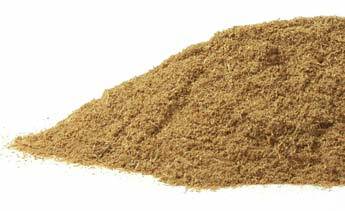 Also referred to as oatgrass or groats, oatstraw is purported to be helpful as a calming agent as well as for fighting osteoporosis. 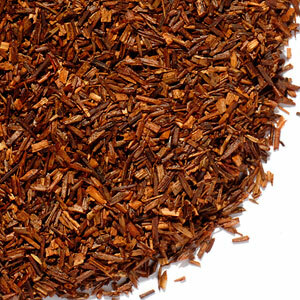 Topically, it is used to soothe itchy, flakey skin. 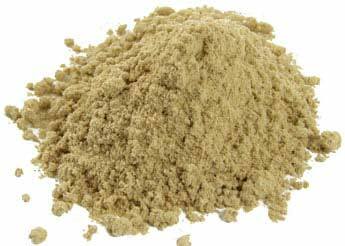 Gluten sensitivity is not believed to be activated by use of oat straw on the skin. Also known as Curaçao, Seville, Bigarade, and Sour orange peel. Large cut pieces, with a dull greyish-orange color. Belgian Witbier (white beer) is spiced with the peel of bitter orange. Also an ingredient in bitters and Glögg (Nordic mulled wine). Small, 1/4 inch cut pieces of sweet orange peel. Has more pith than California orange peel, and a brighter color. 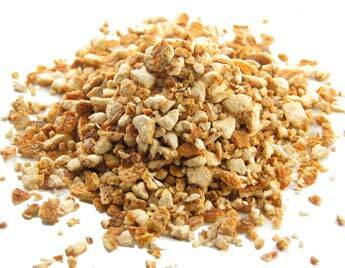 Small cut orange peel is recommended for teas, brewing, and mulling. Also known as the Maypop, Purple passionflower, and True passionflower. A mix of cut stems, leaves, and flowers of the passion flower. 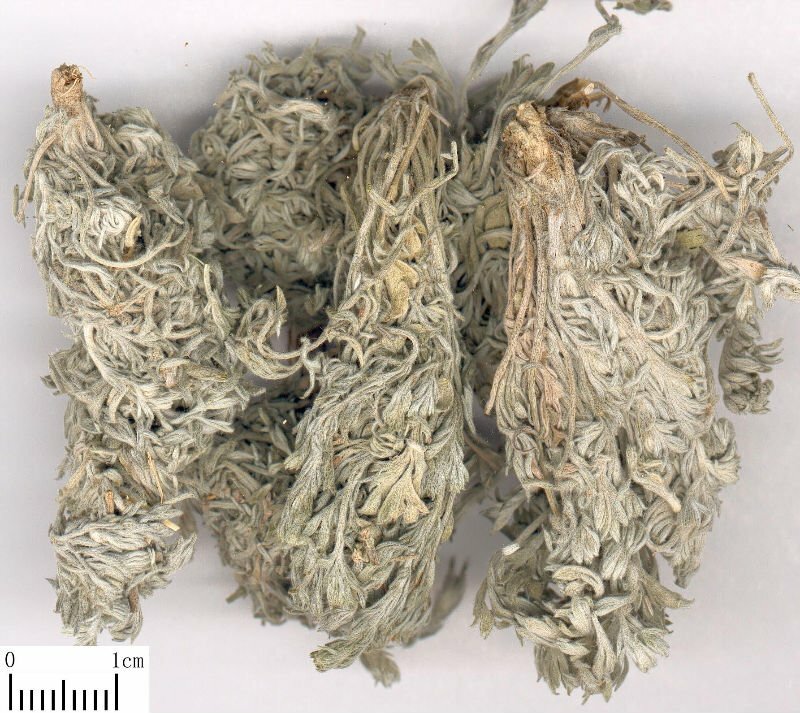 Traditionally used to alleviate anxiety and insomnia. Pau d'arco is also known as Lapacho, Taheebo, and Ipê Roxo. It is the inner bark of a South American tree of the Tabebuia species, with purple flowers. 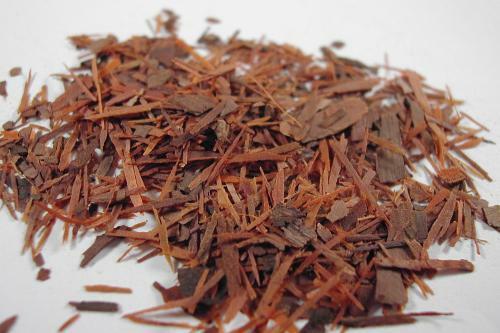 Pau d'arco is commonly used for its antibiotic and virucidal properties (especially during cold and flu season). 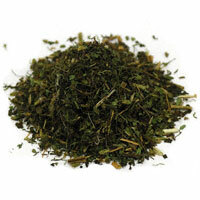 Pennyroyal was traditionally used in ancient Greece and Rome as a culinary herb. 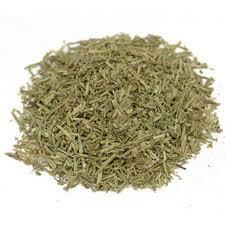 It is also known as European Pennyroyal, Hillwort, and Pudding Grass. 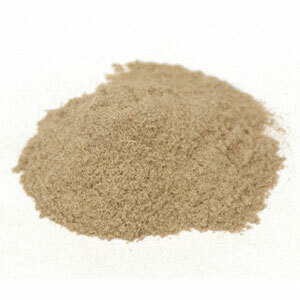 Fine powder of the husks of psyllium. 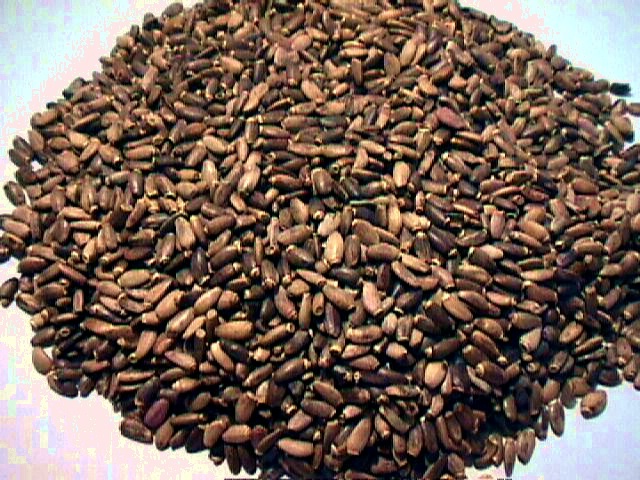 From the plant known as Desert Indianwheat or Blond Psyllium. 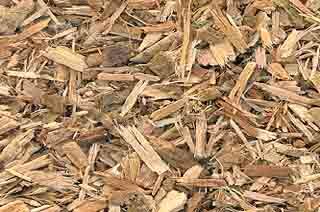 Husks become soluble in water, expanding and becoming mucilaginous when wet. 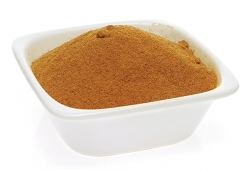 Often used as a source of dietary fiber. 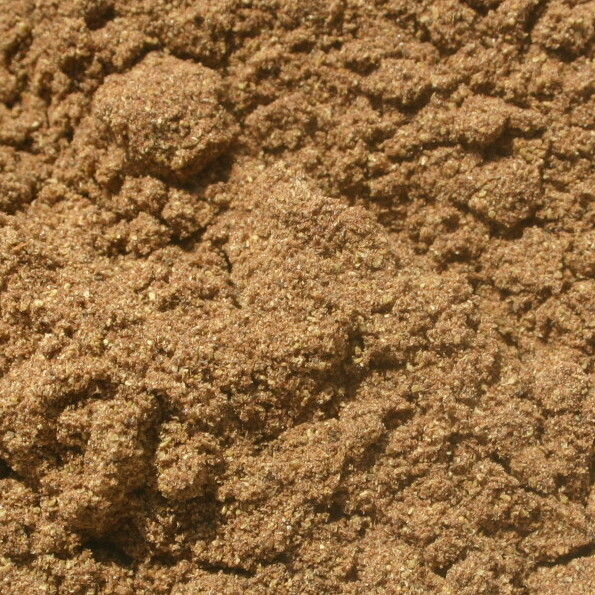 From the plant known as Desert Indianwheat or Blond Psyllium. Husks become soluble in water, expanding and becoming mucilaginous when wet. 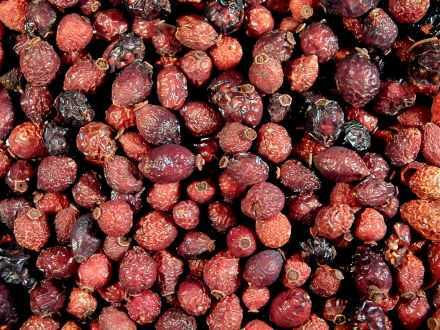 Often used as a source of dietary fiber. Also known as Garden Raspberry, European Raspberry, Framboise, and Red Raspberry. 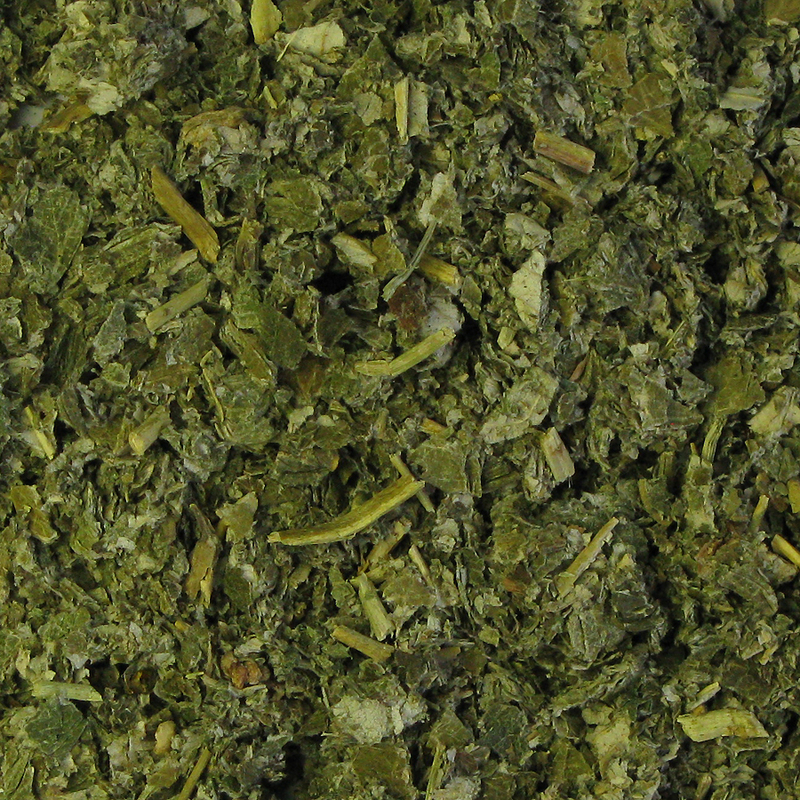 Reputedly used as an aid for pregnancy and delivery, and for its astrigent properties on the skin. From the Dog Rose. The rose hip is a rose fruit (sometimes called rose haws), known for its high Vitamin C level. 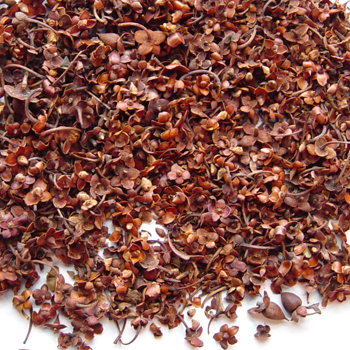 Seedless rose hips are recommended for herbal teas and tea blending over whole rose hips. Sage (White) Smudge Stick 7"
A hand rolled bundle of authentic, wildcrafted California White Sage. Light one end and blow on the smudge stick to produce smoke. Often used with abalone shell or incense dish to keep embers from falling. 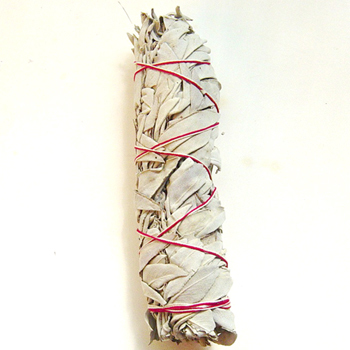 White sage smudging is traditionally used in ceremonies for purification. Also a great way to purify a room of unpleasant odors. Sage (White) Smudge Stick 4"
Pieces of wildcrafted white sage (not whole leaves on stems); not bundled into wands or sticks. 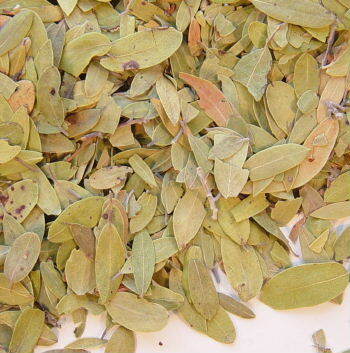 White sage is used like incense - its leaves are burned and will produce a fragrant smoke. 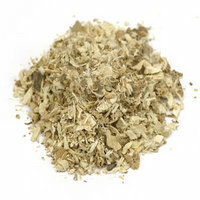 White sage is also considered ideal as a ceremonial smudge or for home purification. Leaves may occassionally be spotted with brown after periods of heavy rain. Note that this does not affect its use, just its appearance. 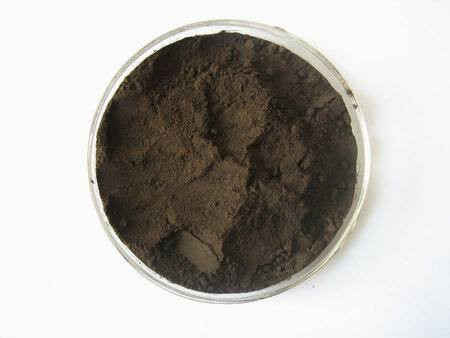 Often used to supplement animal feed, for cosmetics, and for in folk medicine used for its reputed ability to aid in coagulation of blood. 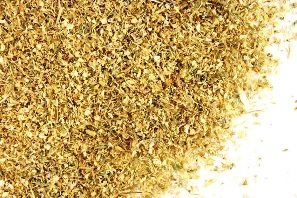 A powder of the leaf, stem, and flower of St. John's Wort. 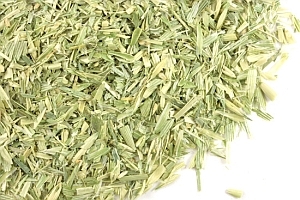 Used for its reputed effects on aiding wound healing and the immune system. 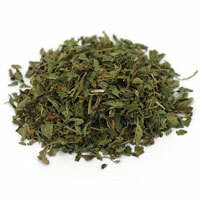 Stevia often referred to as sweet leaf; has somewhat of a licorice-like aftertaste. 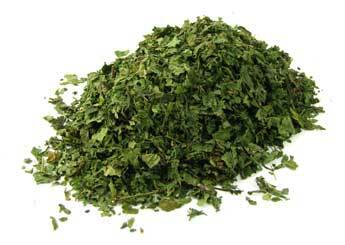 Cut and sifted leaves, not a powder. Also known as Garden Valerian and All-Heal. 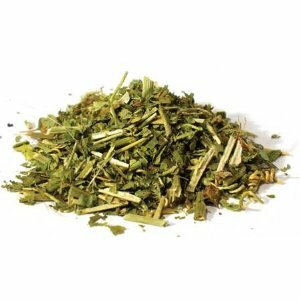 Used for a variety of ailments, including sleeping disorders and anxiety. Common herb for horses. 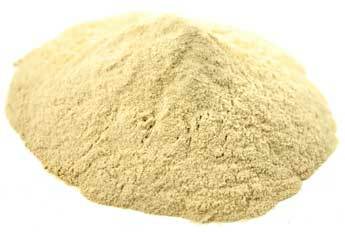 A powder of the yucca root. Also known as Spanish Dagger and Adam's Needles. Yucca has been used for a variety of purposes, from acting as a natural deodorizer to treating headaches.